It has been SO cold here. Lots of snow! So pretty to look at but man, I wish we didn't have to drive in it. Here are a few favourites this week! 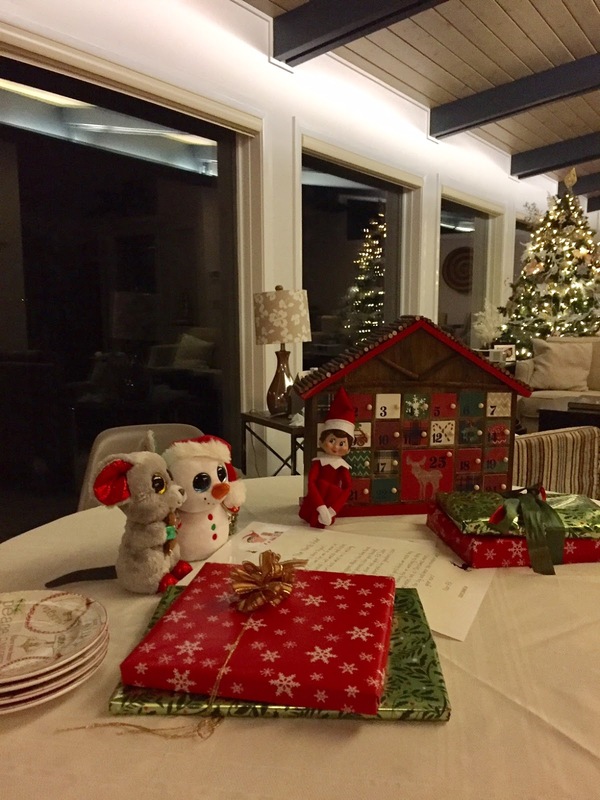 1- I totally forgot to blog about our North Pole breakfast on December 1st when our new elf Noelle came to visit. You see our old elf Patraj didn't survive our move. He must have not found his way into our new home or couldn't make his way out of one of the still unpacked boxes. So even though it killed me to get a new elf, we did and we named her Noelle. A few books and Christmas beanie boos for our Beanie and reading obsessed duo. Pain du chocolat-- another treat! 2- The other morning, this was the sight I saw. Just like her mama, she loves to read first thing in the am. But unlike her mama, she doesn't know when to stop and if not forewarned she could seriously be late for life. 3- Speaking of the other morning, can you see what was in our neighbour's backyard? Any guesses? 4- My new neighbourhood cookie exchange this week- 6 ladies-- six dozen cookies and a little get-together with cheese, wine and a cookie sampling. My kids (and D) are thrilled with all the different varieties. I made Christmas crack- my old standby and there were shortbread, nanaimo bars, german cookies, white chocolate lemon truffles and brownie bites. Lots of cookies in this house, slowly but steadily being consumed! 5- Yay for almost done our holiday shopping! Darin and I have our annual shopping date next week where I'll pick up a couple last minute things but other than that, it's all about the wrapping, egg- nog drinking and soaking in the spirit of the season. What is it with the hot chocolate?! E always wants it and then drinks none of it! I love the snow too but only when we don't have to go anywhere - mat leave for the win this year! Just think, eventually youll havr two elves 😊! That could be a lot of fun! You're annual shopping date sounds like a lot of fun! What fun you guys have been having!! 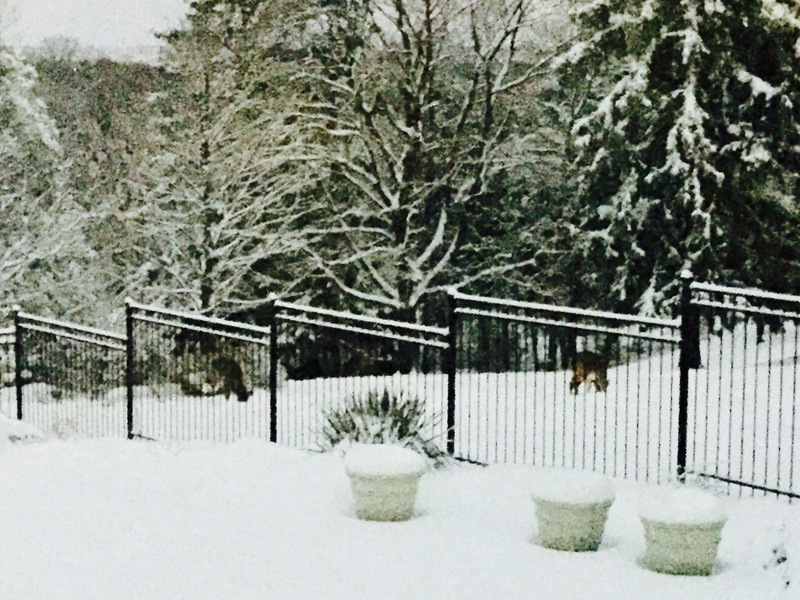 Is that deer in your neighbors yard?